Recently it was brought to my attention that the Loxahatchee National Wildlife Refuge is for the first time going to allow a Gator Hunt at the refuge. How sad as these creatures are used to humans and will for the most part be easy marks for the hunters. The Refuge also says there have been complaints that the Gators are becoming aggressive towards the Human visitors. My issue is that the Gators have become aggressive because Humans have been disobeying the no fishing signs and feeding the Gators. This is in my opinion the reason Gators have become aggressive and see the Visitors as a source of food. I base this opinion on the fact that I witnessed on multiple occasions Humans fishing in areas that were off-limits. I saw the Gators following the reeled in catch and then gobbling up the catch before the fish were landed. What a shame these creatures that are part of nature and are simply following what is in their nature ultimately pay the price for Human unconsciousness. 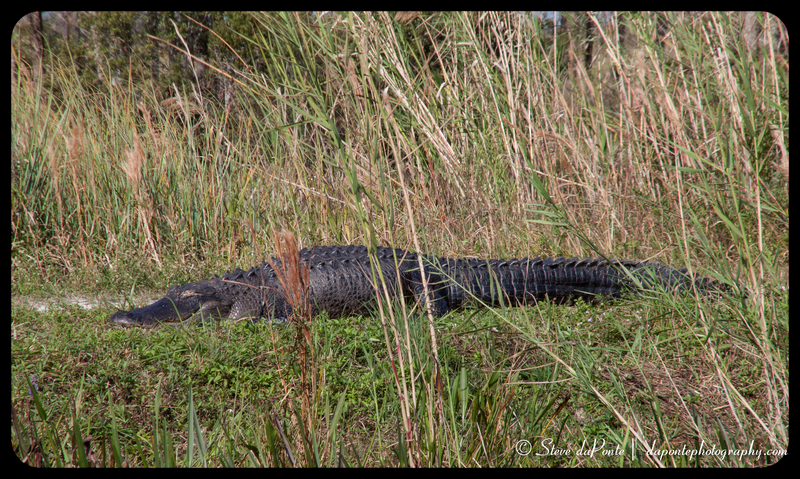 Last week when I visited the Refuge the Rangers had roped off an area where a large Gator was laying out on the trail. This was the same Gator that twice I witnessed preying on fisherman’s catches in a place where signs were clearly posted not to fish. Why were the signs posted well because they knew the Gator was there and it was his territory. Unfortunately the Alligator Hunt has already been approved and they will issue 11 Permits with a 2-Gator limit each for a total of 22 Gators. Absolutely a waste. The animals are punished when the humans do not follow the rules. The future of Florida has no room for alligators. Sadly, its future is relentless urban and suburban sprawl. And BTW, thanks for sharing and for dropping by my Maine lighthouse post! Yes, I am a Florida native and the speed at which nature is paved over is amazing.